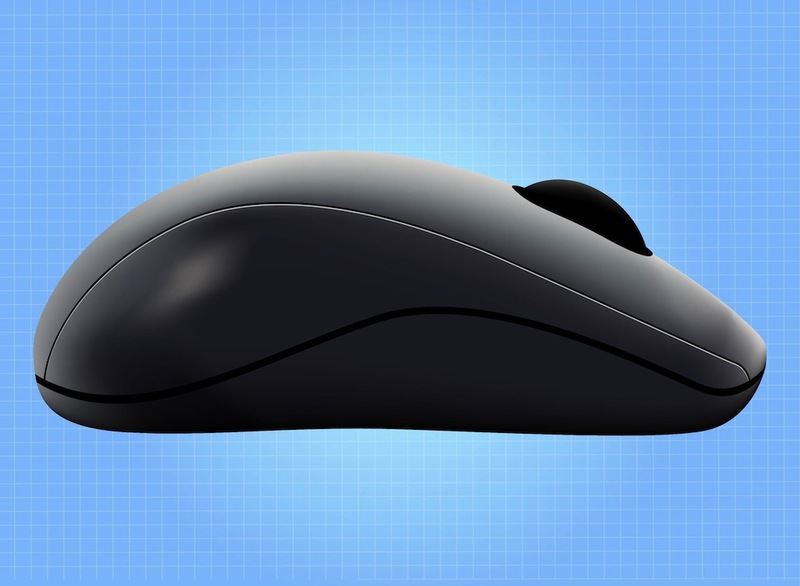 Realistic vector graphics of a computer mouse. Computer periphery image with shiny plastic surfaces and detailed device parts. Wireless mouse seen from the side, glossy top part of the gadget. Free vector layout to design computers, technology, devices, computer periphery and Internet visuals. Tags: Computers, Device, Internet, Periphery, Realistic, Scroll Wheel, Technology.